WHO: Teachers and Presenters looking to engage their crowd with the option to share experiences via Twitter. HOW: Set up a digital display of your liking, create a hashtag for your event, and set up a Tweet Wall page. WHEN: Great for school dances, presentation events, etc..
One of the hats I wear at the Calvert Catholic Schools is Student Council Advisor. As we approach Spirit Week and all of the festivities associated with Homecoming, I am given the chance to work directly with students and find out about things they enjoy. I first heard about Tweet Walls when Principal Peter Cole (@CHSBlueDevil1) posted a picture of the Tweet Wall he used at Carey High School’s Homecoming Dance. At Homecoming 2014, I set up our projection screen and a projector off to the side of the gym. When I told the students I was setting up a Tweet Wall, they were a little skeptical. Once the dance started and students started to use the hashtag, they were engaged and began sharing their experience with their peers. Students also asked to have a Tweet Wall set up for our Field Day Event at the end of the 2014-2015 school year. Fast forward to Spirit Week 2015 and the Tweet Wall was one of the first requests from student council to have included in their dance. Using a hashtag and tweet wall also allows you to capture moments from a students/spectators standpoint and get their viewpoint of an event. I also used a tweet wall using the digital displays at NCOESC during EdCamp Ohio. The educators in the crowd loved the idea and shared photos/quotes/resources the entire day. There are a few different options out there for Tweet Walls, and the best looking ones ask for payment to use their resource. The one I have grown very found of is Wall of Silver. 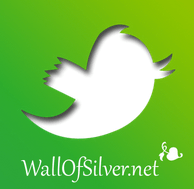 To use Wall of Silver, just go to the website, scroll down, and enter the hashtag for your event. The page will begin to refresh with all the tweets tagged with that hashtag. If it is for students, I would recommend starting with a warning regarding inappropriate tweets that will result in the removal of the Tweet Wall.